DSLR cameras are always considered best for the photography, but still they lack some Smart functions in them, like we cannot customize or automate the things according to us. Although today many different operating systems are being developed for Cameras to interact like a computer, but they are quite expensive. What if we can connect a computer with our DSLR and make it ‘Smart’ to follow our commands, but computer is quite big and we can’t carry it along with Camera for photography, so now? Yes, we are talking about Raspberry Pi, this pocket sized computer can be easily installed with the DSLR camera and make it ‘Smart’. Now while Raspberry Pi connected with Camera, you can do amazing things which you can’t do with simple DSLR like you can do Timelapse photography, you can remotely operate or trigger the shutter of your camera, you can automatically transfer or backup your pictures to your computer over Wi-Fi, you can attach a LCD for taking commands and also you can convert a non HDR camera into a HDR one. 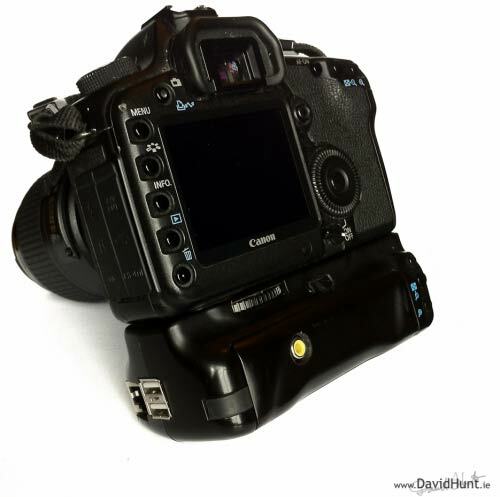 David Hunt did it quite well and cleanly attached a Raspberry Pi with his DSLR Camera (Canon 5D Mark II). He used a broken Battery Grip and with some modifications in it, he could able to fit Raspberry Pi in it. He used Cannon camera’s 7.2v battery with a DC-DC converter to power the Raspberry Pi. He used DC-DC converter to get the voltage down to 5v for Raspberry Pi. Now at the software part, Raspberry Pi is installed with gPhoto2 library to interact with the Camera. gPhoto2 library is the great tool to connect with your camera at software level. gPhoto2 is a free, redistributable, ready to use set of digital camera software applications for Unix-like systems, It supports more than 2100 cameras. David developed a Perl Script using gPhoto2, to automatically transfer the new photos from his camera to his iPad every second. He also attached the Wi-Fi dongle to Raspberry Pi to wirelessly transfer the Pics and operate it remotely from anywhere. Now you can give command to your camera from anywhere to click the pic or can create any script to automate the photography. David has also successfully triggered the shutter button via shutter release cable from the GPIO pins on the Raspberry Pi. Although David hasn’t shared its script as it was in early stage but Khurt Williams has also created this kind of script where he triggered the shutter from the GPIO pin and also enabled his camera for HDR photography by taking same pic 5 times with different exposure values. You can check his script here. So now you can also play with your DSLR or Digital camera by attaching a gPhoto installed Raspberry Pi and can expand new possibilities of Photography.